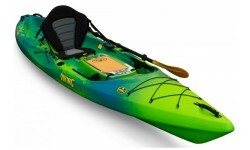 Viking Kayaks are designed by avid kayak fisherman themselves. Their kayak designs are the result of years of firsthand experience and feedback gathered from many experienced & dedicated fisherman. 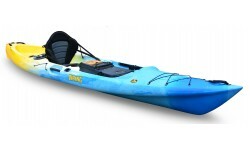 Viking believe every aspect of their kayaks must have a purpose and benefit to the user, not added simply for the sake of more features. The unique tackle pod available on some models allows the complete fish finder unit including transducer & battery to be fitted to the pod. The pod can then be quickly & easily removed from the kayak for transport. If you would like more details on the models listed or any other model offered by Viking Kayaks please call us on 01273 513200. 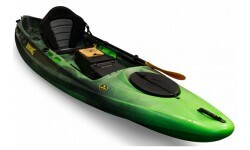 The VK Profish Reload is the Range Rover of fishing kayaks. Fast, stable, fully loaded & with a huge carrying capacity, the Profish is the perfect vehicle for UK coastal fishing. This Railblaza Edition Reload is supplied with various extras including Angler Rudder and Railblaza G-Hold, Starport HD Rod Holder II and 300m TracPort accessories! 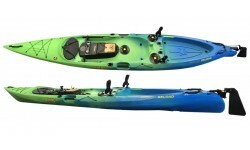 The VK Profish Reload is the Range Rover of fishing kayaks. Fast, stable, fully loaded & with a huge carrying capacity, the Profish is the perfect vehicle for UK coastal fishing. Featuring the renowned Viking Tackle-Pod & compatible with the optional Chill Pod. A great lightweight fishing kayak from Viking, the Profish 400 Lite is easy to paddle, stable and packed with the latest kayak fishing innovations yet weighs in at only 25kg – so it’s as easy to manage off the water as it is on it!